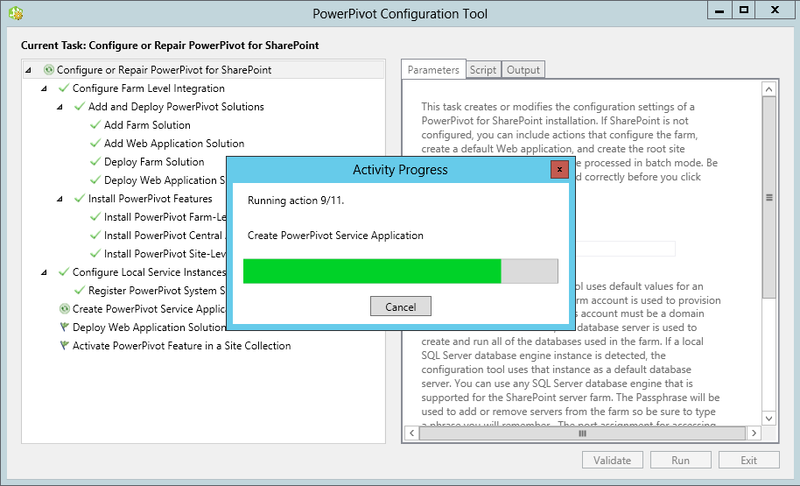 Let the PowerPivot Configuration Tool run. Click validate in the bottom right to see if everything tests out alright. Make sure the farm solution (WSP file) named PowerPivotWebApplicationSolution is deployed to the web application that you would like. Next navigate to Site Collection Features and activate two features PowerPivot Feature Integration for Site Collections and PowerView Integration Feature. Now go on and create Power Pivot reports or Power View reports based on BI Semantic model data connections! The blog is up and running. Post comments if you have questions or would like to a topic discussed. Thanks.